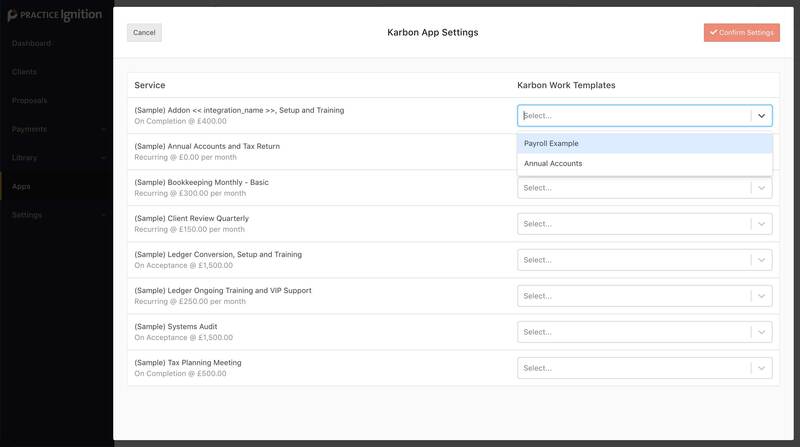 Please note: The Karbon integration is a premium workflow integration and is only available on our Professional and Scale plans. If you are on our Starter plan or a legacy plan, you will need to upgrade your plan before being able to connect Karbon. Contact our support team [email protected] if you need help upgrading your account. Before you begin, please make sure you are on a supported plan (Professional or Scale) and you have your Practice Ignition API key handy. 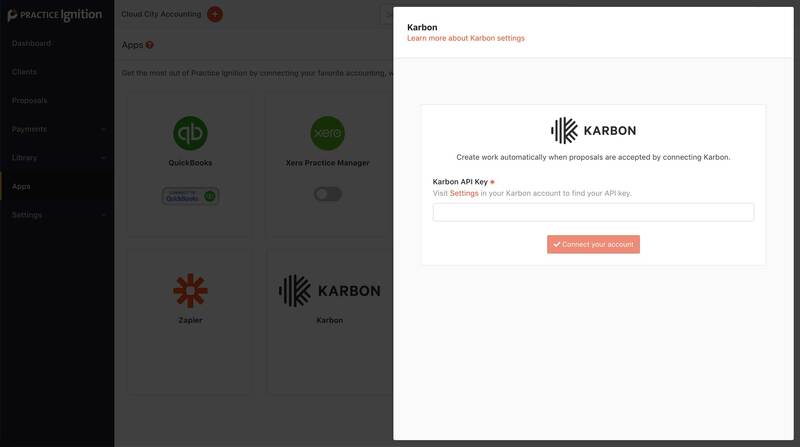 Your API key can be found within your Karbon Settings > Connected Apps. 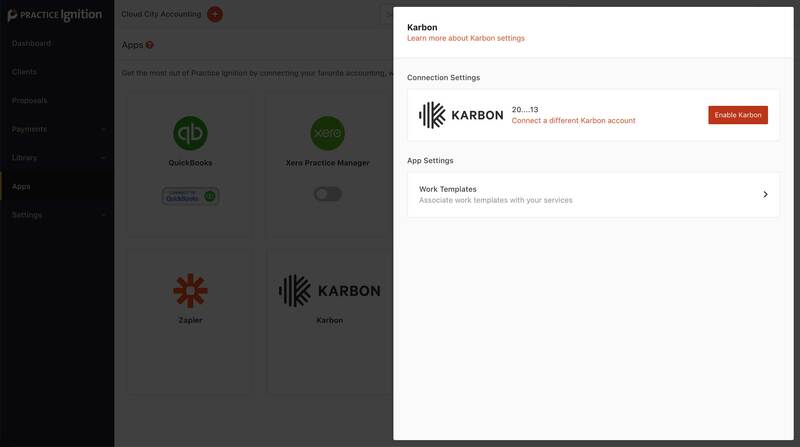 We also highly recommend that you have created all your Karbon workflow templates for your Practice Ignition services within Karbon before connecting the two Apps. Please note: this will establish a connection to Karbon and import your work templates. The integration is not enabled at this stage and the service linking (below) still needs to be completed. Linking your Services to Work Templates allows us to create the relevant work item each time a client accepts a proposal. After completing the above connection step, click the Work Templates card to begin linking your services. Your existing Services are shown on the left and your imported Karbon Work Templates are on the right in the dropdown menus. Simply select one or more templates for each corresponding service. You can leave some services with no associated Work Template, but these services will not create a Karbon work item when selected in a proposal. When you are done, click Confirm Settings. Once you've connected and linked your services, you're ready to enable the integration. Click on Enable Karbon and the integration will be turned on. From this point forward each time a proposal is accepted, the corresponding work will be created within Karbon.